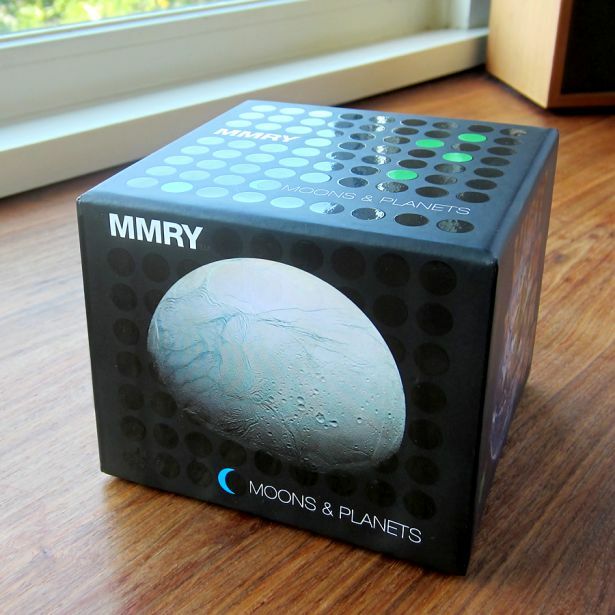 MMRY: Moons & Planets has arrived! 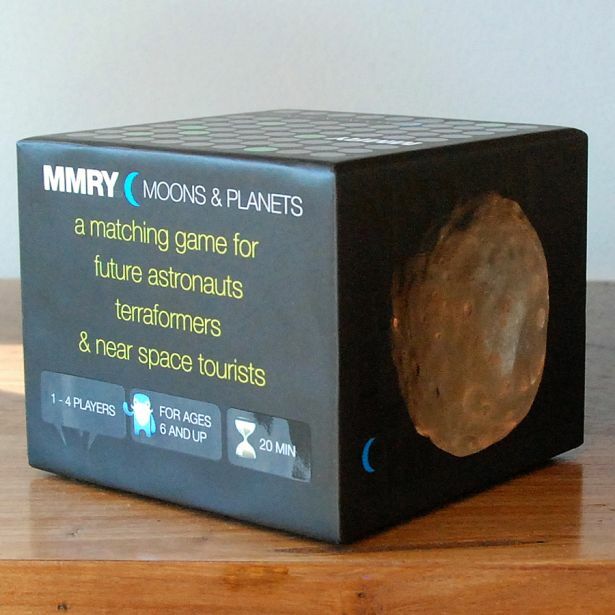 A matching game for future astronauts, terraformers & near space tourists. 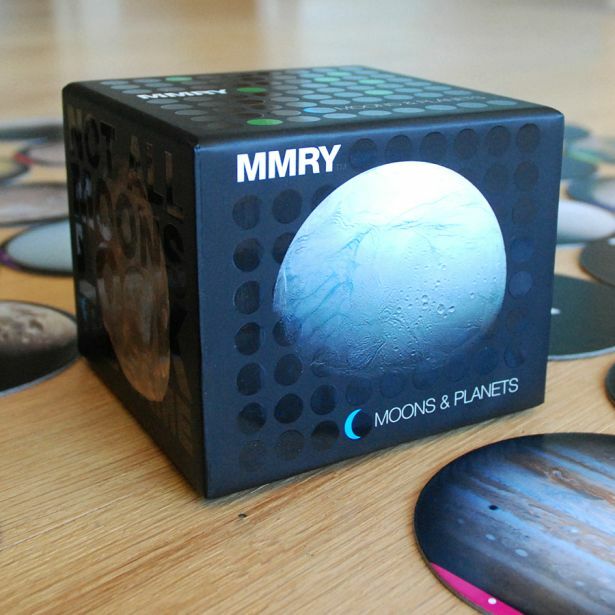 MMRY: Moons & Planets™ is our first in a line of unique memory matching games. 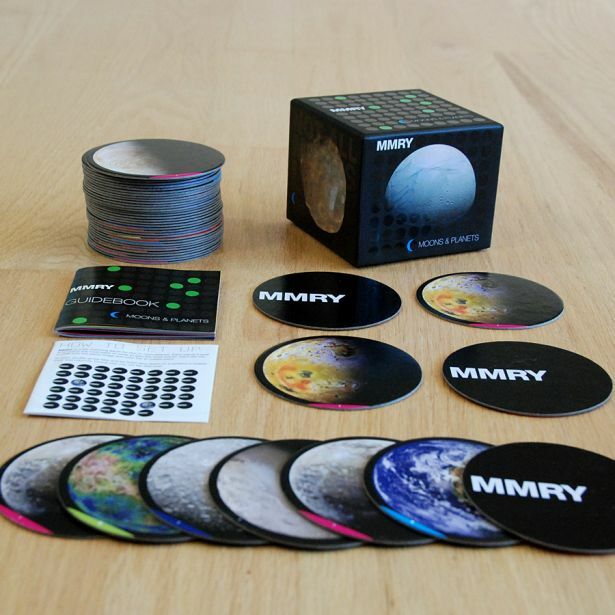 We created MMRY using amazing photos printed on large chunky discs. It looks and feels great. 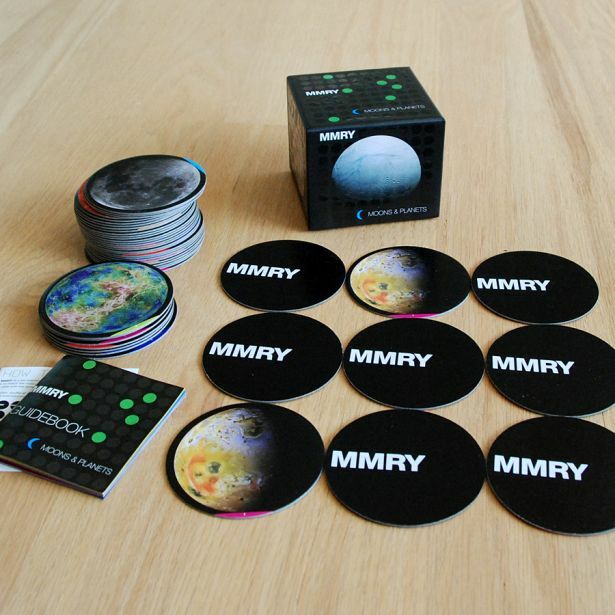 Contains 46 moon and planet tiles & a guide book explaining each moon and planet in the game. Educational, beautiful and tactile! What more could you want from a memory game?